Islamic supporters of Egypt’s ousted president Mohamed Morsi launched on Wednesday arson attacks against churches, resulting in the destruction of at least three buildings. 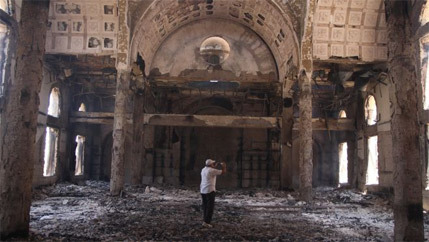 Muslim Brotherhood supporters wreaked havoc on Coptic Christian businesses and property throughout the country. 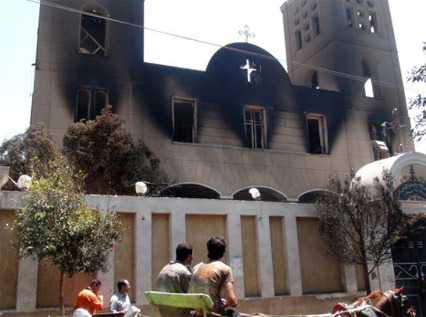 “Christians, in the birthplace of Christianity, are on the run,” he said. 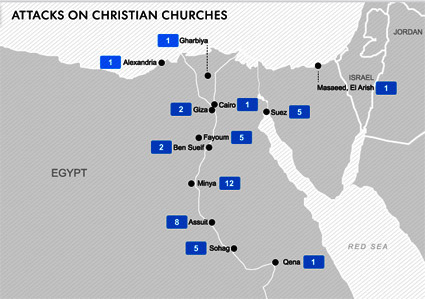 “What we’re seeing right now in Egypt is literally a pogrom, where Christians are systematically being targeted. don’t know the story behind this. A Jihad Watch reader spotted the “Allahu akbar” painted on the side of a burned house and sent me the photo. Perhaps the one who painted it was responsible for the burning. 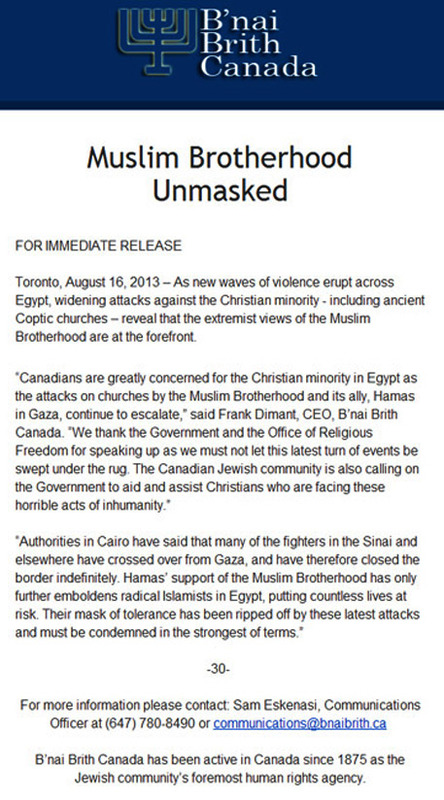 We the undersigned demand that President Barak Obama, Prime Minister Stephen Harper, Prime Minister David Cameron and Chancellor Angela Merkel and other state leaders do everything in their power to protect Christians in Egypt and refrain from actions and words supporting the Muslim Brotherhood. Winston Churchill once remarked, ‘I will not be neutral as between the fire and the firemen.’ We ask world leaders not cower to neutrality as the flames burn but boldly support the “firemen” attempting to douse theflames of this moral calamity.